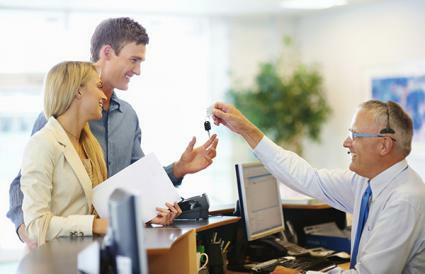 Most major credit card issuers offer rental car insurance to select cardholders. This coverage may prevent you from having to purchase the optional policies available through rental car companies, which can save you up to $20 or more per day. The following companies offer auto rental coverage on vehicles when the cost of the rental is applied to one of their credit card products. Standard credit, rewards credit and premium rewards customers are eligible for complimentary Collision Damage Waiver coverage when renting an automobile. This coverage, offered as a secondary policy, reimburses you for any costs incurred as a result of theft, damage, loss of use and towing that are not covered by personal insurance, including the deductible. You must decline the insurance offered by the auto rental company to qualify for coverage. Vehicles rented for 15 consecutive days within your county of residence (30 days outside of county) are eligible for coverage, and all claims must be reported within 45 days of the incident. To learn more about the auto rental coverage offered by Visa, visit their website or call 1-800-847-2911. MasterCard offers complimentary Car Rental Collision Damage Waiver Insurance to select cardholders. Although the policy covers theft and physical damage, details of the protections offered vary by card type and issuer. All rental agreements include a clause that requires that you turn in the keys if a claim is made for theft to prove that you are not responsible. In addition, loss of use expenses are not eligible for reimbursement. To learn more about the auto rental coverage offered by MasterCard, visit their website or call 1-800-MC-ASSIST. Offered as a secondary policy, the Car Rental Loss and Damage Insurance reimburses select cardholders for expenses not covered by their personal insurance. No deductible is required to exercise this option and it applies to the first 30 consecutive days that the vehicle is in your possession. All rental agreements include a clause that requires that you turn in the keys if a claim is made for theft to prove that you are not responsible. Damages must be reported in 48 hours or less. To learn more about the auto rental coverage offered by American Express, visit their website or call 1-800-338-1670. Discover More, Open Road, Miles and Motiva cardholders qualify for secondary Collision Damage Insurance on select rental vehicles that are in your possession for 31 days or less. Loss of use expenses do not qualify for reimbursement. Claims must be filed within 90 days of the initial incident. To learn more about the auto rental coverage offered by Discover, visit their website or call 1-800-347-2683. When evaluating rental car insurance offered by credit cards, be sure to read the fine print that details the specifics of the coverage offered and any other fees for which you may be responsible. Also note that if the coverage is secondary in nature, your personal car insurance premiums may be subject to increases if an accident occurs because it will cover a majority of the damages and items that the credit card coverage does not include. As with any major agreement, exclusions apply, so be sure to thoroughly review the terms and conditions of each offer.